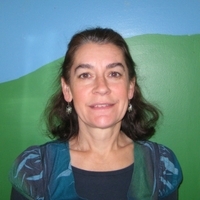 Deb became involved at TCNS in 1998 as a parent and board member when her children attended TCNS. She began working as a teacher in 2002 and has been director since 2007. 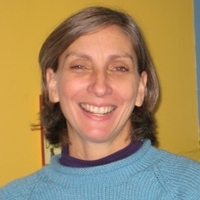 Before working at TCNS, Deb worked for 7 years as a family childcare provider. Deb has a BA in Anthropology and Masters level coursework from Syracuse University School of Social Work. She has been actively involved in a number of youth-oriented organizations in the community. 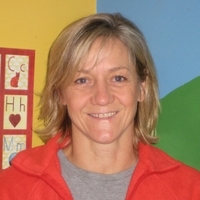 Deb is an alumni of TCNS herself and loves being able to spend her days with preschool kids! Sarah has a degree in Elementary Education along with studies completed in Early Childhood at a Masters level. Her past work experience includes positions as an assistant manager of a child care center, a preschool teacher and as well as an Education Coordinator. Since 2007 she has worked at TCNS as a parent helper, substitute and served on the board. Sarah is a member of the National Association for the Education of the Young Child and the Christian Education Coordinator at the Jacksonville Community United Methodist Church. Sarah values the parent cooperative aspect and enjoys working with the families and children at TCNS. Barb has 30 years parenting experience with her own children and as a parent of two TCNS alumni. Her higher education focused on business, fine arts, and horticulture. For the past 12 years Barb has owned and operated Bel Canto Farm, raising and selling livestock and their products and hosting numerous farm tours and events for children and adult groups. She has been an active volunteer in the school and other extra-curricular activities and truly enjoys spending time with young children, nurturing and supporting them during their early years. Meghan joined the TCNS family as a Teacher’s Assistant in the twos class in 2017. Meghan attended The College of New Jersey with degrees in Elementary Education and English. Since graduation, she has worked as an Assistant Director in a preschool, as well as a fourth grade teacher. Upon arrival in Tompkins County, Meghan worked in the Tompkins County Youth Services Department – working with schools, programs, and families to ensure the needs of our youth are prioritized. Meghan has started a family of her own with husband, Patrick, and they have eagerly become part of the Trumansburg community. 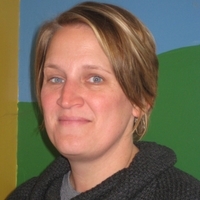 Meghan brings her skills of music, enthusiasm of learning through play, and teaching experience to TCNS.